AI Gigapixel - You should get it! I'm super impressed with the way this program turned out for us Topaz Users. The following photo was taken by cell telephone and posted on Facebook. 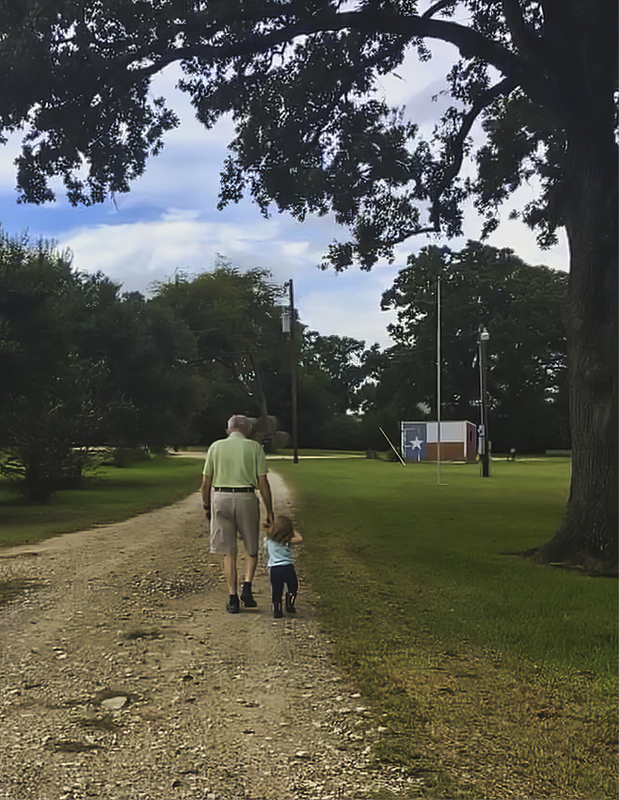 It's a friend of mine and his great-granddaughter at his ranch. I copied the photo and did some minor enhancements. Put it in AI-Gxl to enlarge it. The originals were 653 x 844 @75 ppi. They enlarged through Gigapixel as1275 X 1647 @ 150 ppi. Topaz AI Gigapixel has the PoD world all a-tremble - its results are so good! I have been taking small pictures from several sites - and blowing them up to 12000 pixels long-side - with excellent results!!! It seems with the power of T.AI.G that even our thumbnail photos "aren't safe!" On yesterday's webinar (9-4) I saw a chat statement that a new version update of Gigapixel was coming out, maybe today. Any news? My thoughts exactly Jack.... will change all our thinking on copyright theft!!! Nothing will be safe anymore... Ah the price of technology advances!!! thumbnails are always safe because that is an extreme blow up which leads to nothing. Only Google’s RAISR is able to do that, even faces, but then it hallucinates faces and those are not the original ones. Is there any update on a stand-alone raisr app/program, or will this strictly be a google pixel hardware implementation? Since 2016/2017 there hasn’t been any updates on Raisr.